Every Episcopal Church is required by canon law to hold an annual parish meeting at which the events of the previous year conclude, a budget for the coming year is approved, new vestry members are elected, reports are presented, and the Rector gives an Annual Report. 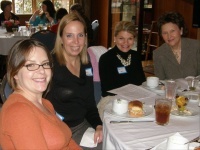 Saint Luke's Annual Parish Meeting takes place on a Sunday morning during January. 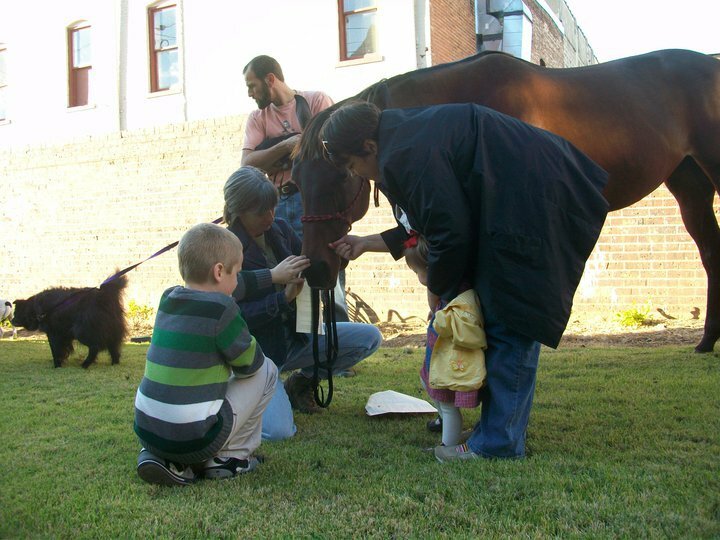 The Feast of the St. Francis of Assisi with the Blessing of the Animals is an annual event that occurs on the Saturday closest to October 4 and is held at 11:00 a.m. in the Saint Luke’s Garden. This is an opportunity to bring your pet to church, along with your entire family to celebrate God’s creation of the animals that share our homes our lives and our love. We ask that pets are properly restrained with leashes or crates to prevent any accidents or escapes! If your pet is just too unwieldy, you are welcome to bring a photo of your pet. Also, we ask that participants bring dog or cat food to be donated to Downtown Dogs, a Jackson pet adoption program. A group of committed volunteers put on a fabulous spread of breakfast fare, mimosas, and juices in celebration of the resurrection of our Lord Jesus Christ. This great annual feast is held in the Parish Hall on Easter Sunday morning between the 8 am and 10:30 services. The Easter Egg hunt follows immediately at 9:45 am. 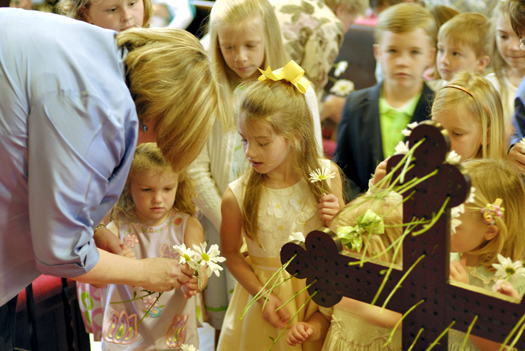 Our Episcopal Youth Community (EYC) along with parents and others who love children, throw a fantastic Easter Egg Hunt yearly on Easter Sunday Morning at 9:45 am in the Saint Luke's Garden. 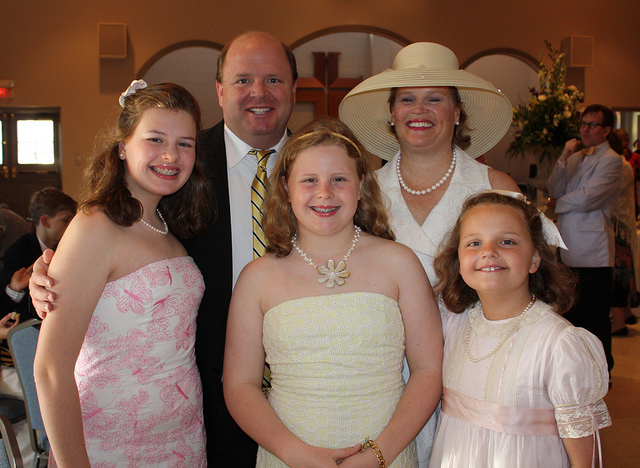 before Easter at the home of a parishioner. Sometimes known as "the calendar party," this is likely the special event throughout the year that takes the most time and energy. 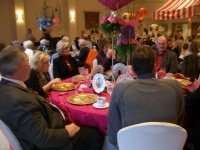 Members of Saint Luke's ECW and others, prepare a gourmet meal, serve the meal at the luncheon and dinner, and intricately and exquisitely decorate tables in the theme of the year. Recent themes have included "The Party of Parties," Children's Books, The Cities of the World, and "De Colores" (a color theme). Tickets go quickly for this incredibly popular event and we invite you to join us! 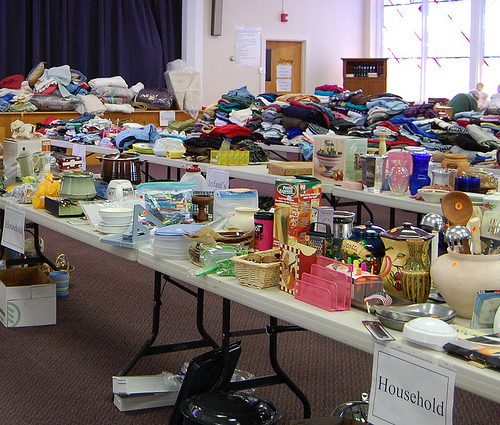 The Episcopal Church Women’s ultimate recycling project is Saint Luke's annual Rummage Sale. 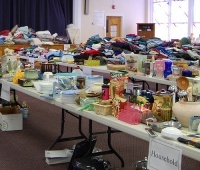 The Rummage Sale occurs annually during the month of March. A rummage sale cannot happen without lots of wares! We invite parihioners to bring any items for the rummage sale throughout the year–clothes, household goods, appliances and furniture. Any electrical items (please, no computers monitors that are not flat panel screens) must be clearly marked with their working condition. The ECW holds an annual event that all women of Saint Luke’s are invited to attend. This event happens annually on a Sunday near February 14, after the 10:30 am service. The day includes a delicious meal which is traditionally prepared by the men of the church. We encourage women to bring a wrapped item that they think a fellow ECW member would enjoy to be auctioned off. Attach a hint about its contents and approximate value to help the auctioneer begin the bidding. 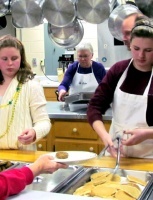 The Lenten Program and Dinner occurs annually beginning the Wednesday following Ash Wednesday. The annual Parish Picnic and the Fall Kickoff for Christian Education together comprise an event we call Rally Day. Each year on the Sunday following Labor Day, this annual event is held. 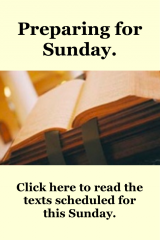 Christian Education programs for adults and children resume, and Sunday School registration happens on this day. Immediately following the 10:30 service we gather at Conger Park (formerly known as Highland Park) for food, fellowship and fun. 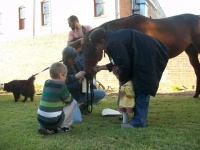 There are of fun activities for children too and great food. 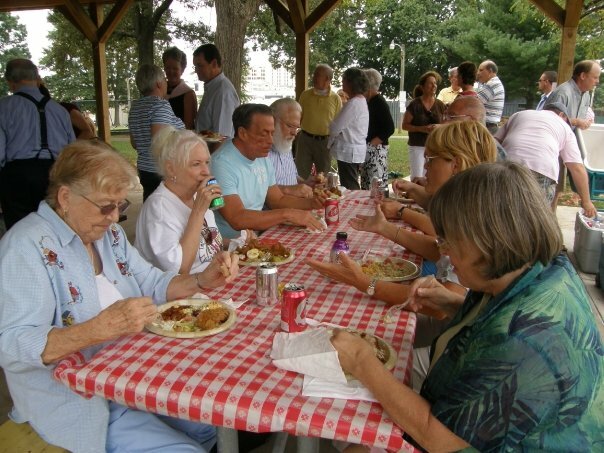 We encourage folks to dress casually for church and bring their favorite side dish to the picnic. The church provides the chicken and drinks for the picnic. Celebration of the Feast of St. Nicholas is an annual event for young and old alike. Come and hear the legend again on the first Sunday in Advent. Everyone is invited to gather in the Parish Hall for the telling of the story; then the festive celebration will continue dinner, fun, and fellowship, with a visit from St. Nicholas himself! This is a great opportunity to bring your "Angel Tree" gifts to the church for needy children. 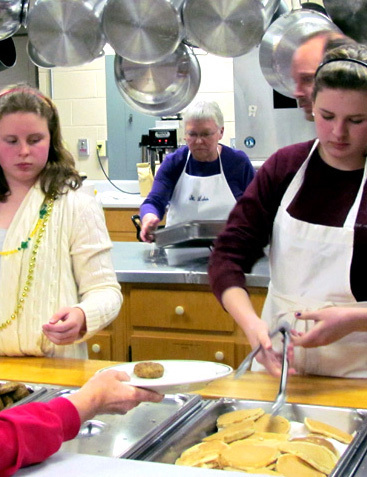 Traditionally offered by the youth of the parish, this event requires the help of a lot of people—youth leaders, parents, staff members, and, of course, enthusiastic youth—to serve up plates of steaming pancakes, sausage, and fresh fruit to all who come to the Parish Hall on the Tuesday before Ash Wednesday. See all of the latest events.